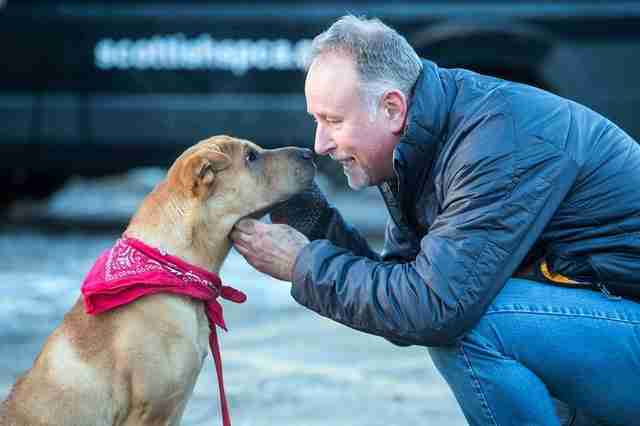 Dog Abandoned At Railway Station Finds A Forever Family! 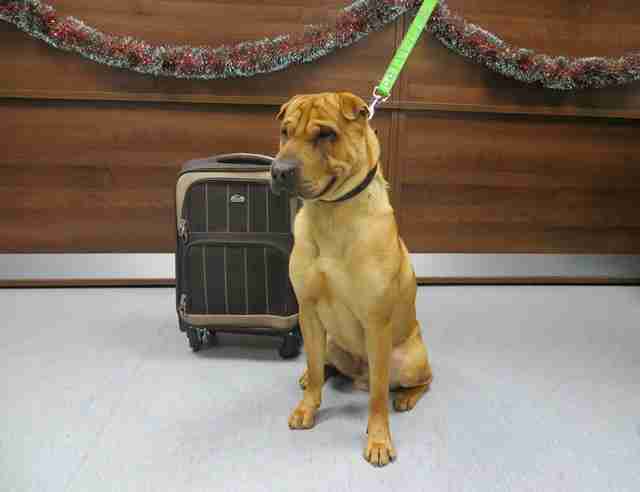 Few stories have resonated among animal lovers quite as much as the saddening tale of a dog named Kai, found abandoned at a railway station in Scotland with a suitcase filled with his belongings. Thankfully though, his has the happiest of endings. 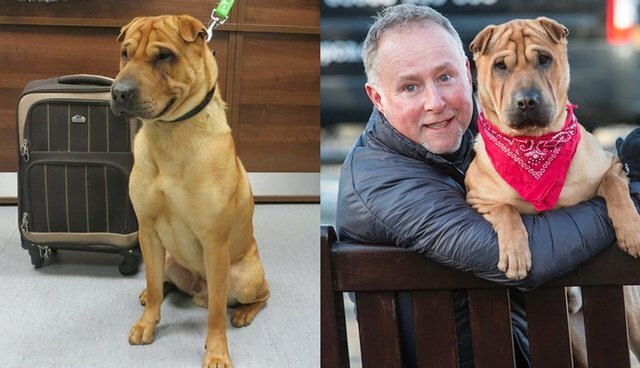 After weeks of waiting, the adorable shar-pei mix has found his forever home. 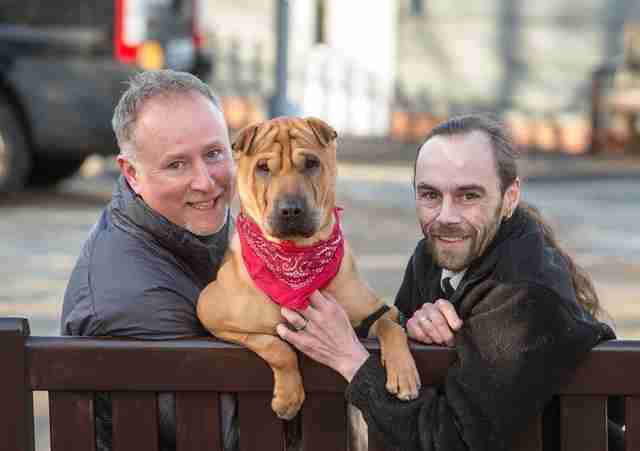 Earlier this year, the Scottish SPCA rescued Kai from the train station railing where he'd been tied and left to fend for himself after his former owner made a botched attempt to sell him online. Word of his heartbreaking predicament spread - not just in the U.K., but around the globe. The unwanted dog, it turned out, wasn't so unwanted after all. "We were overwhelmed by offers of new homes for Kai from places as far away as New York, Los Angeles, France, Spain and even the Philippines," SPCA care assistant Alan Grant said in a release. While sorting through hundreds of applications from folks eager to provide the dog with the home he deserved, the SPCA found the perfect forever home with a Scottish man named Ian Russell. When I heard about Kai I knew the little guy needed a break but I never thought in a million years I'd get him. I called the Scottish SPCA just to check he was okay and see if there was anything I could do to help. Fast forward a few weeks and here I am taking him home. I honestly think it was meant to be. I work all over Scotland, mainly outdoors, driving wherever I'm needed in my van. Kai will come with me and when it's appropriate I'll let him out to run around and play safely while I work. Then we'll jump back into the van together and head to the next place. We'll be able to hang out all the time. The dedicated care staff at the SPCA say it's a match made in heaven - though they're quick to point out that there are countless other dogs who are awaiting one too. "We know Kai will have a fantastic new life with Ian and we couldn't be happier for him," says Grant. "This is a great opportunity for us to remind people that we have hundreds of other animals in our care just like Kai who all need new homes." To learn more about adopting a pet, visit your local Humane Society.